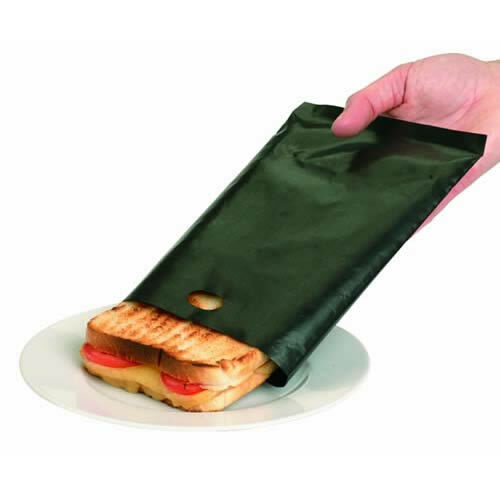 The Original Reusable Toastabag as featured on Dragons Den makes perfect toasted sandwiches & other snacks with No Mess in your toaster or toaster oven. The Toastabags are Quick, Clean & Convenient. 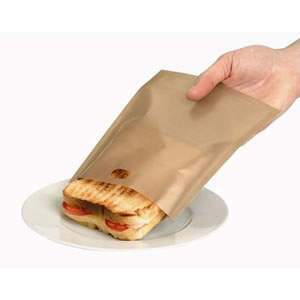 You can use Toastabags to make a wide variety of toasted sandwiches or to heat up pastries, pizza slices, chicken nuggets & more! 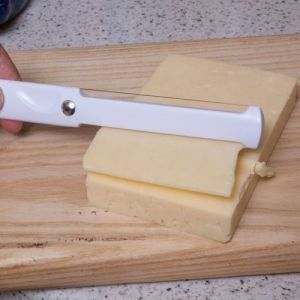 Perfect for kids after school snacks! 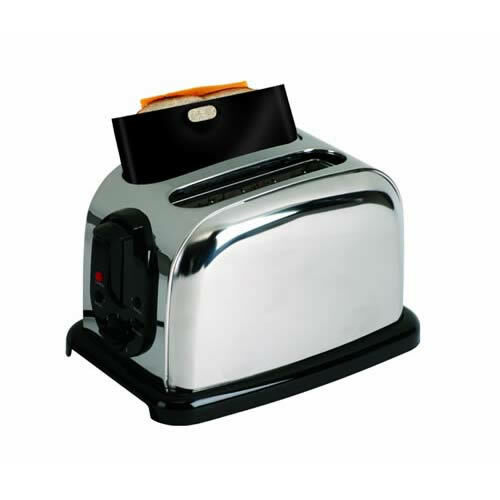 Toastabags have been designed primarily for use in variable width slot type toasters. When using a standard non-variable toaster, toasted sandwiches may need to be made with thinner bread & it may be necessary to compress the sandwich after putting it in the bag. 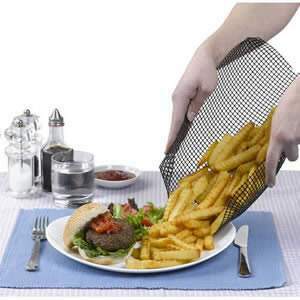 Each Toastabag can be reused up to 300 times. 2 per pack.